Ned Thomas Beatty was born on the 6th July 1937, in Louisville, Kentucky USA, and is an Oscar, Golden Globe Award-nominated and Drama Desk Award-winning actor, best known for his roles as Bobby in the film “Deliverance” (1972), as Otis in “Superman” (1978), and for lending his voice to Mayor, a character from the animated film “Rango” (2011), among other roles. 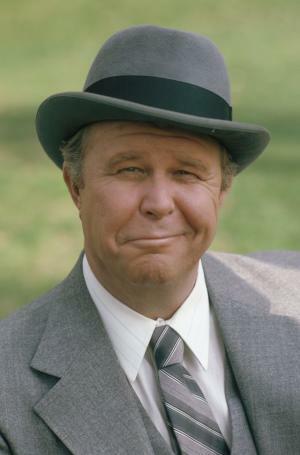 Have you ever wondered how rich Ned Beatty is, as of early 2017? According to authoritative sources, it has been estimated that Ned’s net worth is as high as $5 million, earned through his career in the entertainment industry, during which he has featured in more than 150 film, TV and voice roles. Ned is the son of Margaret and her husband Charles William Beatty, and grew up in his hometown with his sister Mary Margaret. As a child he started performing with gospel musicians and barbershop quartets in St, Matthews, Kentucky, and also in his local church. He received a scholarship to sing in the a cappella choir at Transylvania University, where he enrolled but never graduated. Instead he became focused on acting, and when he was 19 years old debuted in “Wilderness Road”, after which he continued to appear in theaters across the USA, so establishing his net worth. As early as 1972 he debuted on screen in John Boorman’s Oscar Award-nominated “Deliverance”, next to Jon Voight and Burt Reynolds. In the next few years he was building a reputation for himself with roles in such films as “Footsteps” (1972), “The Life and Times of Judge Roy Bean” (1972) starring Paul Newman and Ava Gardner, “White Lightning” (1973), “Dying Room Only” (1973), then Lamont Johnson’s Primetime Emmy Award-winning “The Execution of Private Slovik” (1974), among others in the first half of the ‘70s, which only increased his net worth. In 1976, he had a role in the Oscar Award-winning “All the President’s Men”, starring Dustin Hoffman, Robert Redford and Jack Warden, and the same year featured in “Network” (1976) with Faye Dunaway, William Holden and Peter Finch. The following year he starred in “Our Time” (1977), and in 1978 had the role of Otis in the Richard Donner’s classic “Superman” with Christopher Reeve, Margot Kidder and Gene Hackman. He finished the decade with roles in the Golden Globe Award-nominated “Friendly Fire” (1979), “1941” (1979) and “Promises in the Dark” (1979). He started the next decade quite successfully, with a role in “Guyana Tragedy: The Story of Jim Jones” (1980), reprising the role of Otis in the sequel “Superman II” (1980), then had supporting roles in “All the Way Home” (1981) and “The Toy” (1982). After that he didn’t land any notable roles until 1986, and an appearance in “The Big Easy”, then finished the decade with an appearance in “Physical Evidence” (1989), among other roles, which also increased his net worth. Nothing changed for Ned in the ‘90s, starting with a role in the film “Repossessed” (1990), then in 1991 starred in “Hear My Song”, and in 1992 had a supporting role in the film “Prelude to a Kiss” with Meg Ryan and Alec Baldwin. The following year he appeared in the film “Rudy”, based on a true story, and from 1993 to 1995 portrayed detective Stanley Bolander in the TV series “Homicide: Life on the Street”. In 1994 he appeared in the films “Replikator”, and “Radioland Murders”, and in 1995 appeared with Sean Connery and Laurence Fishburne in the film “Just Cause”. 1998 saw Ned in Spike Lee’s “He Got Game” with Denzel Washington, Milla Jovovich and Ray Allen, and he finished the decade with films “Cookie’s Fortune” and “Life” in 1999, increasing further his net worth. In 2000 he reprised the role of Detective Stanley Bolander, this time in the film “Homicide: The Movie”, and then appeared in the film “Thunderpants” (2002), directed by Peter Hewitt. After that his career began to slow down a little, but he still landed roles in such productions as “The Walker” (2007) with Woody Harrelson, Lauren Bacall and Kristin Scott Thomas, “Shooter” (2007), and “In the Electric Mist” (2009). The next role was in the Michael Winterbottom’s thriller “The Killer Inside Me” (2010), with Casey Affleck, Kate Hudson and Jessica Alba, and then he voiced Lotso in “Toy Story 3” (2010), and Mayor in “Rango” (2011). He had two small roles in “The Big Ask” and “Baggage Claim” both in 2013, which are his last roles on screen. Regarding his personal life, Ned has been married to Sandra Johnson since 1999. Previously he was married three times; his first wife was Walta Drummond Chandler, whom he married in 1961 and divorced in 1970 – the couple had four children. His second wife was Belinda Beatty (1971-79) – they had two children. His third wife was Dorothy Adams ‘Tinker’ Lindsay (1979-98), and they have two children. 1 [on the creation of the "squeal like a pig" scene in Deliverance (1972)] Bill McKinney and I and the director [John Boorman] were both throwing stuff in the pot and that's where all that stuff came from. The way he caught me when I ran, it was scripted. It was just the way I gave in to what the situation was. I made myself available to whatever he wanted to do to me. But [Boorman] didn't believe that. He thought, "Well, aren't you gonna try to do something?". So what he really wanted was for me to run, and when I ran, I remembered how we were dealing with the situation of big boar hogs and how this older man would have to grab this one of the back legs, and I would have to hit it with the tackle and roll up on top of it and put the rope around the legs. All this was going and that's where we came to the squealing of the pig thing. I must tell you that most of the people that were on the film did not want us to do the scene. But the scene was important. 2 I want to see the writers strike, God bless them. They are the only true commies we have in Hollywood. 3 [on Sweet Land (2005): We want to see a story about us, about people. Here's a girl who comes from Norway and gets all the way to Minnesota. She doesn't speak a word of English, just German, and people still hated Germans from the first World War. Talk about strength. She's traveled alone and far to marry a guy through an arrangement with his parents. You wonder at the strength for just that, much less what it takes to hold on once she gets there. This is about people you know. I love it. I love what it's about. One scene summarizes the delicious sense of the movie. It's where Olaf is sleeping in the barn, and Inge is sleeping in the house and there's a sense of tension between them because they are going here and there and trying to get married, but they can't. They get into an argument, and they are talking in German and Norwegian. I love that scene. I love the fact that we know exactly what they are talking about, even though I don't speak any Norwegian or German.The performances are wonderful. The acting is as good as anything I've ever been in. I am proud. The two leads are good, boy, they are good. I think when people see this movie, they won't have seen anybody like her [Elizabeth Reaser] in quite some time. 4 [on John Huston] A wondrous man . . . it's not like talking to God, but it's so close! 1 He was awarded the 1997 Los Angeles Stage Alliance Ovation Award for Lead Actor in a Musical for "Show Boat" at the Ahmanson Theatre in Los Angeles, California. 2 Father of Thomas Beatty. 3 Beatty was offered the role of John Doe in Se7en (1995) but rejected because the script was pure evil. 4 He appeared in two films with the word "Toy" in the title: The Toy (1982) and Toy Story 3 (2010). 5 He appeared in the two Oscar winning scripts of 1976: in Network (1976), which won as Best Original Screenplay, and in All the President's Men (1976), which won as Best Adapted Screenplay. 6 He appeared in five movies that have been nominated for the Best Picture Academy Award: Deliverance (1972), Nashville (1975), All the President's Men (1976), Network (1976) and Toy Story 3 (2010). 7 He appeared with Christopher Reeve in four films: Gray Lady Down (1978), Superman (1978), Superman II (1980) and Switching Channels (1988). 8 He appeared with Burt Reynolds in six films: Deliverance (1972), White Lightning (1973), W.W. and the Dixie Dancekings (1975), Stroker Ace (1983), Switching Channels (1988) and Physical Evidence (1989). 9 He appeared with Clifton James in four films: The Deadly Tower (1975), Silver Streak (1976), Guyana Tragedy: The Story of Jim Jones (1980) and Superman II (1980). 10 He made guest appearances on both of the longest running prime time dramas in United States television history: Gunsmoke (1955) and Law & Order (1990). 11 His son (from his first marriage) Charles Beatty works as a grip in Hollywood, mostly on commercials. 12 He and his wife Sandra Johnson were building a home in northern Minnesota near her family (2004). 13 He was nominated for a 2002 Laurence Olivier Theatre Award for Best Actor in a Supporting Role of 2001 for his performance in "Cat on a Hot Tin Roof" at the Lyric Theatre in London.